Windows Movie Maker is it one of the best video editors fascinated by both amateurs and professionals. 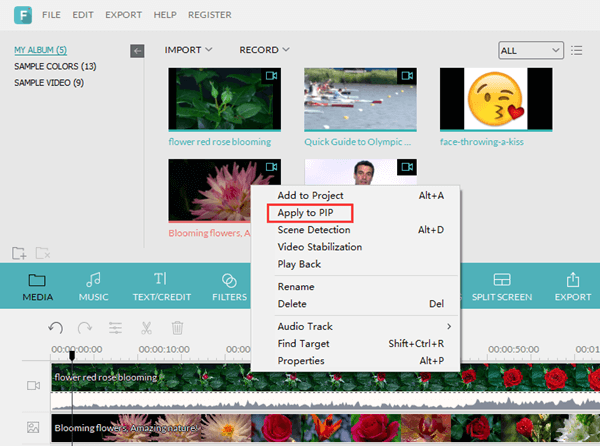 They use this free video editor to make wonderful videos out of their wedding recordings, kids' growth videos, travelling recordings and more. However, many experienced users prefer more advanced editing features. In addition, Microsoft decided to drop Movie Maker from the operating system add-ons, as they say it's not supported for Windows 10. So many people want to find a Windows Movie Maker alternative to edit videos without any hassles. Depending on your needs, here we gather top 3 alternatives to Windows Movie Maker, alongside the pros and cons about each of them. Filmora Video Editor is one of the impressive tools in the field of video editing. Different from professional video editing tools like Adobe Premiere Pro, Sony Vegas Pro and Lightworks, Filmora is a good choice for both amateurs and professionals. Newcomers will find it an ideal video editing software, as it provides "EASY MODE". For professional, "FULL FEATURED MODE" is great. Allows you to upload your videos to known social networks, like Facebook and YouTube. No Blu-ray support for the output. 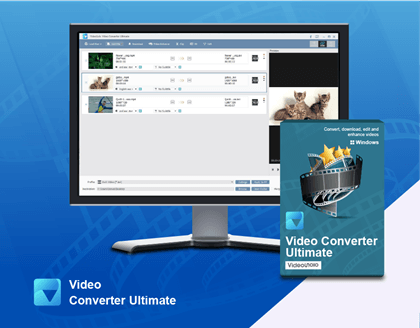 AVS Video Editor can be an optimal alternative to Windows Movie maker, given that you want to open and edit your Blu-ray videos. AVS Video Editor supports a wide range of media formats, as both input and output and there is a wide codec support too. Its video editing features are also comprehensive. Let's have a look. Support all key video formats and processed video with different frame sizes: HD, Full HD, 2K Quad HD and 4K Ultra HD. Apply effects and overlays, insert menus, audio, texts, subtitles and stabilize video camera shaky recordings. Save the newly-made video in the desired format on your computer, burn a DVD/Blu-ray disc, adjust video for your iOS and Android devices or publish your creative work in social networks. The quality of the end video is noticeably distorted and distracts from the viewing experience. Movavi Video Editor is a very affordable, yet complete video editor with titles, animations, sound syncing features, good editing options, and more. If you are looking for the simplest way to create or edit a video, then it does not get any better than the Movavi Video Editor. Videos could be imported (supports most video, audio, and image file formats) or captured through TV-tuner, or webcam. All basic and necessary tools are at presence: cutting unwanted footage, slicing into many segments, joining different parts, adding background music, and so on. The software offers lots of various special effects, transitions, and filters. These include Chroma Key, Split Screen, Slow Motion, Falling Objects, and Sepia. Final projects could be exported as videos (supporting HD formats) suitable for mobile devices such as Android, Apple (e.g. iPhone, iPad, etc. ), and BlackBerry. Video editing can be intimidating for beginners. Therefore, choose a right video editing tool is in vital importance. For anyone who is looking for a replacement of Windows Movies Maker, Filmora, AVS Video Editor and Movavi Video Editor are all worth taking into consideration.